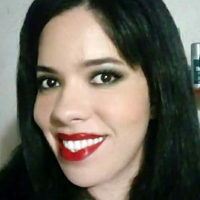 Lucivania Nascimento dos Santos lives in Itabuna, Bahia, Brazil. 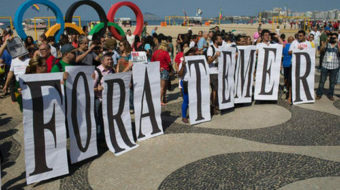 When looking at charges against President Temer, legislators forgot the the righteous anti-corruption speeches “in the name of God and the family” they made against Dilma Rousseff. 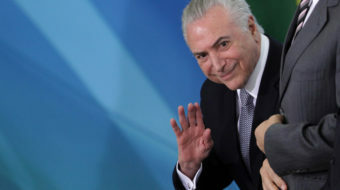 Brazil's president wants to raise the retirement age to 75. 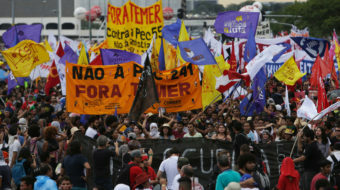 Workers responded with a general strike paralyzing the country, while police hit back with violence. New right-wing amendment mandates a freezing of health, education, and social assistance spending at current levels for the next 20 years. 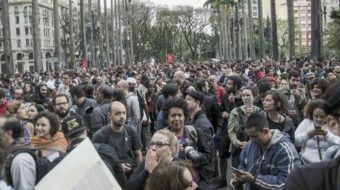 The smoke and gas bombs were intense, it is very difficult to run and breathe; police target alternative press cars that try to take their equipment into the protests. 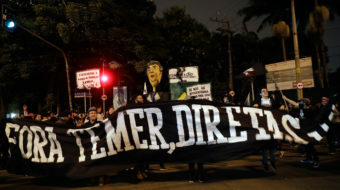 The Temer government's actions against demonstrators are consistent with the regressive policies enacted since he stole the presidency from Dilma Rousseff. 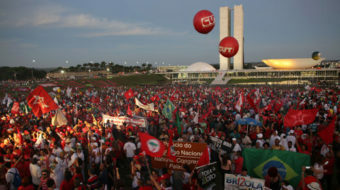 Brazil’s workers say, “Stay Dilma, there will be no coup! To put it mildly, social policies implemented by the Workers Party-led government displeased the elite and reactionary middle class.